We are regularly asked about : Graham Crackers. Even though we've listed these crackers in the app for some time we're still being asked. So what's the deal with Graham crackers? Unfortunately the Graham Crackers that you'll buy in a shop are going to be High FODMAP - so buyer and bottom beware! 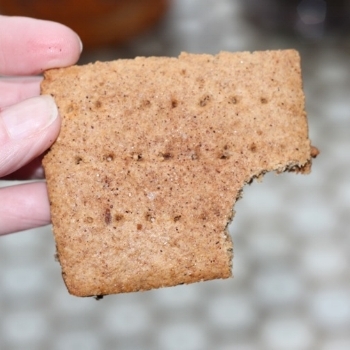 It is possible to make your own Low FODMAP Graham Crackers! Here are some recipes that we've collated from around the internet. Please let us know how you get on. Good Luck!